Is your business using Scooters? Find out how Mapon can improve your business processes! Most of the companies use cars and trucks and other heavy vehicles for their business processes, however, there are also many growing companies that are using scooters, for example, vehicle rental companies, food delivery companies and also individuals. There’s a widespread belief that GPS tracking and fleet management solution can bring benefit only for large companies with heavy vehicles such as trucks and trailers. However, GPS tracking and fleet management systems, including Mapon solution, have many other standard features that can be used by companies that are using scooters as part of their business. GPS tracking devices used for these functions are easy to install and very affordable for any company, and also individuals who want to use benefits GPS tracking can bring. Let’s jump to the real examples which hide behind the above-mentioned functions, to help you find the best solution how your business could also benefit from using GPS tracking and fleet management system. For many food delivery companies, scooter rental companies and other businesses that use scooters, it can be very beneficial to see where the scooters are. Live map with real-time locations can be used by dispatchers of delivery companies to better manage the planning and task management. Seeing real-time locations can help to identify which scooter is within a certain region. It can also help to understand when the specific scooter will return back to the base. Dispatchers can also see whether all scooters are in the correct region, and in case one of the drivers is of the route, the dispatcher will be able to re-direct the driver on the correct route. Real-time tracking also shows other important information, for example, full stops making it easy to identify all scooters who have stopped, with whom the dispatcher can get in touch and find out if there are any problems or to nudge a driver if he has taken a forbidden stop. Of course, some of these functions are not too useful for scooter rental companies, but there are some ways how these companies can also use GPS tracking with the live map. In case there are specific regions the rental scooter can’t leave, managers can easily follow whether their clients have broken the rules and act instantly in case they have. In an unfortunate event of an accident, the client might be calling the company to ask for help or consultation. If the company wouldn’t use GPS tracking devices, they would have to find out the exact location of the accident via long discussions. 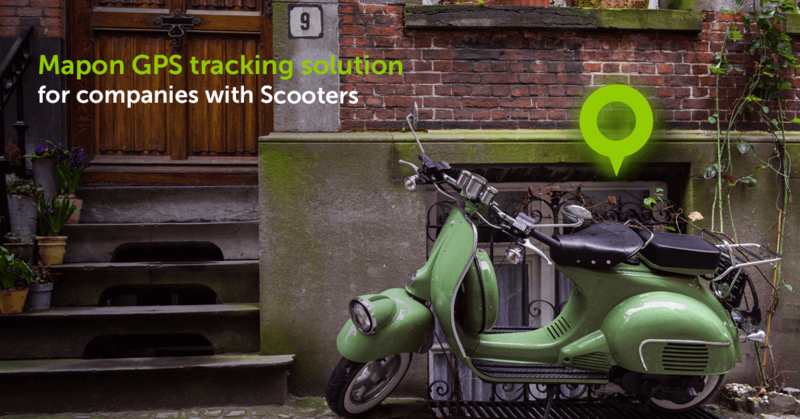 With the real-time tracking, scooter rental companies can find out the exact location in a matter of just a few seconds, in addition, they can share this location with any other party involved, for example, outsourced repair service company, which needs to get to the scooter in certain events. The possibilities are endless, and each company can adjust this solution for their specific needs. Mapon system also has flexible API integrations that can be used to integrate our solutions with your company’s systems for even more efficient workflow. Apart from a possibility to see real-time locations, GPS tracking solution also brings another strong functionality – it keeps track of full route history, easily accessible within the system, which business wouldn’t find this useful? Scooter rental companies can see a full report where the client has driven, how many kilometers, and amount of stops as well as speed charts. This can be used to control whether the client doesn’t break any traffic laws putting in danger people’s lives and also the vehicle. Many rental companies have specific rules about the maximum allowed driving speeds, however, there is no way how they can check whether the client complied with the rules. By installing GPS tracking devices, the company can easily find out whether the client was over-speeding and, for example, charge a fine for breaking the rental agreement rules. Delivery companies that use scooters, can see how many kilometres each scooter has driven on each day, week or month or any other interval. This can be a useful tool to identify any inefficiencies, for example, by comparing the amount of deliveries made and kilometers driven. Companies can also calculate average costs per delivery taking into account kilometers driven and average fuel consumption; as well as identify drivers that are over-speeding and driving via routes that are not suggested or are of a bad quality thus damaging the scooter. 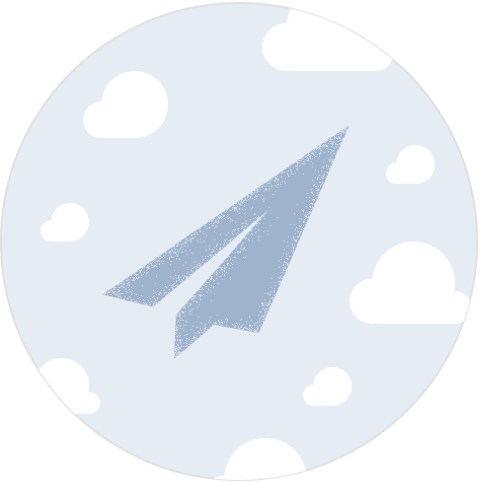 All of this will help any delivery company to decrease the costs by eliminating different inefficiencies. These functions don’t really say anything about them at first, however, they are one of the most popular features mainly because they can be customized to meet even the most specific needs of businesses with vehicles. Geo-fence is basically a virtual field that can be drawn on top of the map layer. It is used by many companies to divide regions and make it easier to oversee all their cars and specific regions. One of our clients is a large pizza chain who have heavily oriented also on food delivery service. They are using geo-fences to mark regions around all their pizzerias, which allows them to easily identify the fittest pizzeria for fulfilling an incoming order, as well as helps them to oversee and manage their delivery scooters. Rental companies can set-up certain territories which their client can’t leave with the scooter, and thus can quickly catch anyone who is breaking the rental agreement rules. Geo-fences become especially useful when combined with alerts. Companies can set-up specific geo-fences and receive SMS or an e-mail notification every time the scooter enters or leaves the designated territory. As of result, delivery companies can set up a geo-fence around their base and be instantly notified right as the scooter has entered the base territory after the next package. Rental companies can set-up an alert system whenever the client has left a specific territory. It is also possible to set this alert up in a way that the client himself will receive a warning SMS that he has left the territory. Alerts can also be used to identify and notify you about events of stopping outside geo-fence territory, or about overspeeding. Companies can combine overspeeding alert with geo-fences to set-up very specific speed limits, for example, in their main base territory, or around more dangerous city crossroads. The combination of geo-fences and different type of alerts will ensure that your business doesn’t miss any important event or activity, improving the overall efficiency of the company and helping to decrease operation costs. Interested in these solutions for your business or want to find out more about how Mapon solutions and GPS tracking can help your business?